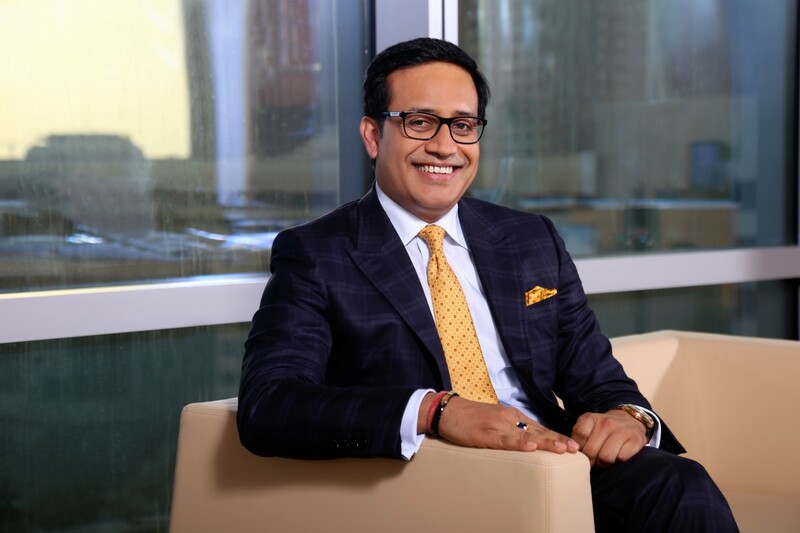 I had the pleasure of interviewing SHAILESH DASH, Entrepreneur and Financier, Al Masah Capital A veteran of the MENA alternative investments sector, Shailesh has over 23 years of alternative investment experience. He has founded various financial services companies such as Al Masah Capital in 2010, Regulus Capital and Future Capital Ltd In less than 7 years as well as Ventures in the field of Healthcare, Education, Logistics, F&B while supporting many new technology businesses such as Fintech, etc. The companies founded and supported by him in the last 13 yrs have successfully raised over USD$3billion. The financial services companies founded by him provide tailored solutions to its broad client base offering private equity advisory, wealth management, asset management, corporate and real estate advisory as well as public market research services. The group of private business promoted by Shailesh Dash consists of over 4000 employees with offices in Dubai, Abu Dhabi, Kuwait, Muscat, London and Singapore. Shailesh brings unique deal sourcing capabilities, and is one of the most experienced private equity investors in the region in terms of number of transactions, with more than 90 transactions executed at a value of $1.7 billion. Having grown various financial services businesses into industry leading investment managers, Shailesh carries unique insight into the various investment opportunities available in the MENA & SE Asia region and through his vast experience and execution capabilities also carries the necessary tools needed to take advantage of these opportunities and stay ahead of the curve. Shailesh’s success and track record has been recognized by his peers as he is consistently ranked as one of the top most influential people in the regional investment industry. After completing my MBA I worked as an analyst/investment manager’ in India for 6 years during which I was involved in some of the most impressive Private business deals which helped me learn and grow. In 2000 I moved to the Gulf and was involved in Private Equity, Corporate finance and research activity and started getting involved in buying and selling of private businesses in the region. I had 16 years of work experience before I started Al Masah Capital. This helped to my advantage as I had worked in industries ranging from, Research, corporate finance advisory and investing in manufacturing companies to various services industry companies. Working in such industries helped me understand the important aspects from an investor’s point of view and what is the need of the hour. The 10 years of regional experience helped me create offerings based on investor’s needs and risk profile. Thus, we structured private equity portfolios, keeping the investor’s requirements in mind. Our business model is based on the investor’s needs. It is one of the primary reasons why we are where we are and are successful today. Our focus has always been client driven and expertise/experience in certain sectors. We primarily have involved ourselves in sectors/industries which have higher demand/need from investors in our geographical area of investments/business. It’s important to have leaders in the team who are hungry to achieve success and are genuine individuals. Therefore it’s important to identify the right person who would want to be a creator rather than just an employee. You need to find people who are trying to achieve something in life, who are bored of doing routine work in large organizations, who have an entrepreneurial zeal. It is important to give them the independence to achieve as well as have the right corporate governance structure in place to make achieved goals sustainable. We don’t do angel investing, rather provide growth capital after the initial round of funding has been completed. Apart from a lot of passion and belief in their product/service they want to offer, the most important is to have a proper business plan and initial capital support before starting up. And to never give up, keep trying till the formula of success is achieved. It would be difficult to name only 1 book here as in different stages of my life I have been influenced by many a different books. Like Monkey Business, Beating the Street, The Essays of Warren Buffet, Greed is God, The Intelligent Investor, Zero to One, The Lean Start up, etc. Whatever they are offering product/services need to meet a real and significant need of the society. It has to be a proven solution to that need. Commercial viability of the product proven through a proper effective business plan and real actions taken. A combination of a great thinker/leader entrepreneur with a skilled team that has a real hunger for success. Secured the initial capital outlay and having successfully launched the product/services.